With the holiday season comes an increase in crime. Reports of petty thefts, auto break-ins and other “crimes of opportunity” in South County are on the rise. * Leave nothing visible or valuable in your car. * Keep doors and trunks locked. * Never leave a GPS system or mount visible. * Park in well-lit and well-traveled areas. * Avoid overloading yourself with packages. * Bring only the cash and credit cards you need. * Don’t carry your Social Security card or passport. * Don’t let others distract you in crowded areas. * Always keep doors and windows locked, including sliding glass doors and second-story windows. * If on vacation, schedule a vacation check through Aliso Viejo Police Services (949-425-2560). * Put timers on different lights inside and outside of your home. Remember to always be aware of your surroundings, and if you see something, say something by calling 949-770-6011. 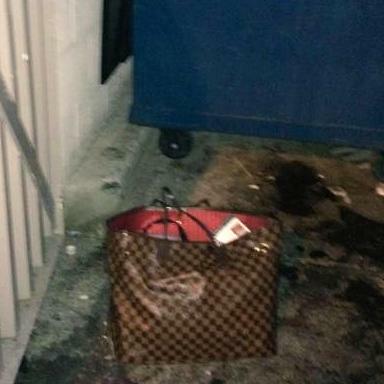 Deputies recovered this Louis Vuitton purse that was stolen from a car in Aliso Viejo on Dec. 9. Posted in 2015, eNews, News.